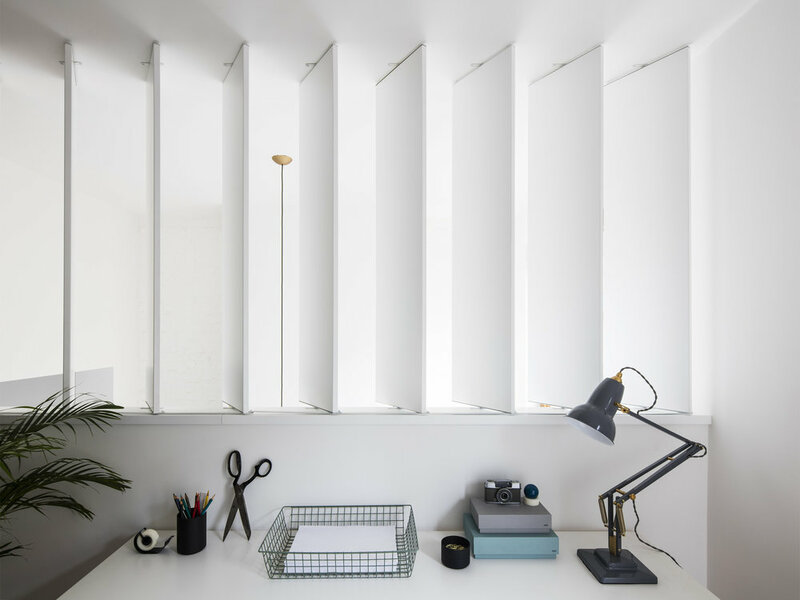 Located in London, United Kingdom is the most excellent Elfort Road House, a minimal home designed by Amos Goldreich Architecture. The home became part of a full internal refurbishment plus an extensive expansion on the side and roof. The Victorian terraced home features one of the most stunning open-planned kitchens we've seen in a while with the deep blues and contrasting whites. The dining and living areas on the ground and lower-ground floors are also spectacular with a minimal'eque feel throughout. 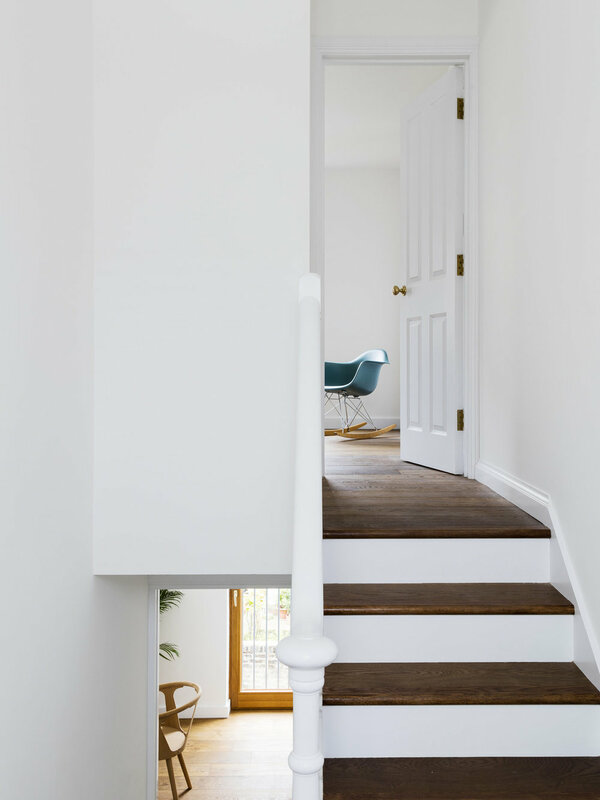 The home was once a dark and cluttered residence but has undertaken a complete revolution into this clean, spacious and light environment. The brief was simple: a light, airy, family-friendly environment. They were also able to keep a level of respect to the history of the building through this modern transformation. The home was split into a series of half-levels that incorporate the eating, living and working areas. All the areas took the volume and light to another level while the designer kept a consistent focus on the brief. The designers were also clever in the way they managed the existing rooms. An example of this was how they took the third bedroom and created a study, half the size. By removing this room they were able to create a spacious double-height living room due to the nature of its position within the home. The designers were also very considerate towards how the home used its energy including the installation of LED lighting and new plumbing with underwater heating. They also replaced all the windows with double-glazed, timber windows. By using few materials the designers were able to create a streamlined effect through-out the home. This was also reflected in the colour palette which has helped in enhancing the space around and working in uniform with the oak flooring. 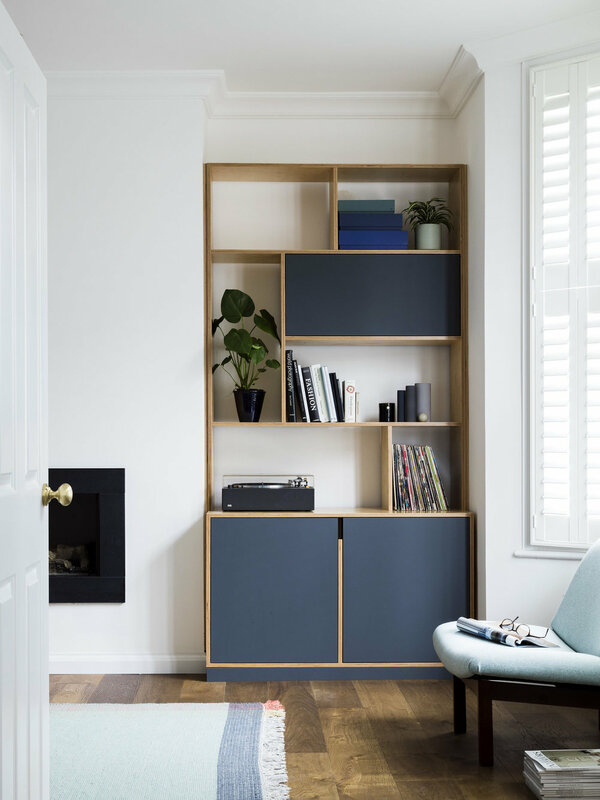 Plywood was used throughout the home's joinery due to its ability to work in all manner of ways leveraging its stable, flexible, strong and relatively cheap condition. A scratch and heat-resistant, anti-bacterial nanotech material called Fenix NTM was used to cover the plywood while leaving the exposed edges which added warmth to the aesthetics. This material also offered a useful coat within the kitchen due to its unique properties.